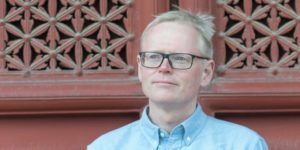 In China power and religion are intertwined, argues journalist Ian Johnson, author of The Souls of China: The Return of Religion After Mao and you cannot understand China without knowing its religion. At the UC San Diego School of Global Policy and Strategy, he explains how religion moved from apparently irrelevant to crucial in today’s China. Why religion is not going away, as many intellectuals have thought. Are you looking for other stories by Ian Johnson? Do check out this list.